You know how the saying goes: If you love something, set it free, and if it comes back to you -- it's yours. If it doesn't come back, then you need to practice your flying skills -- at least if you're dealing with a remote control (R/C) toy. R/C toys are a personal favorite of mine -- but I know I don't stand alone on this. For generations, kids have loved being able to take to the skies with R/C copters and explore the terrain with R/C trucks. These toys take time to master -- I sometimes spend weeks just trying to get something off the ground, or learning how to steer at high speeds. My 19-year-old daughter, on the other hand, has a knack for this stuff and will often take the toy out of my hand and show me how she masters the art of flying/driving in a matter of minutes. What It Is: This royal pet belongs to the ultimate princess -- Cinderella. 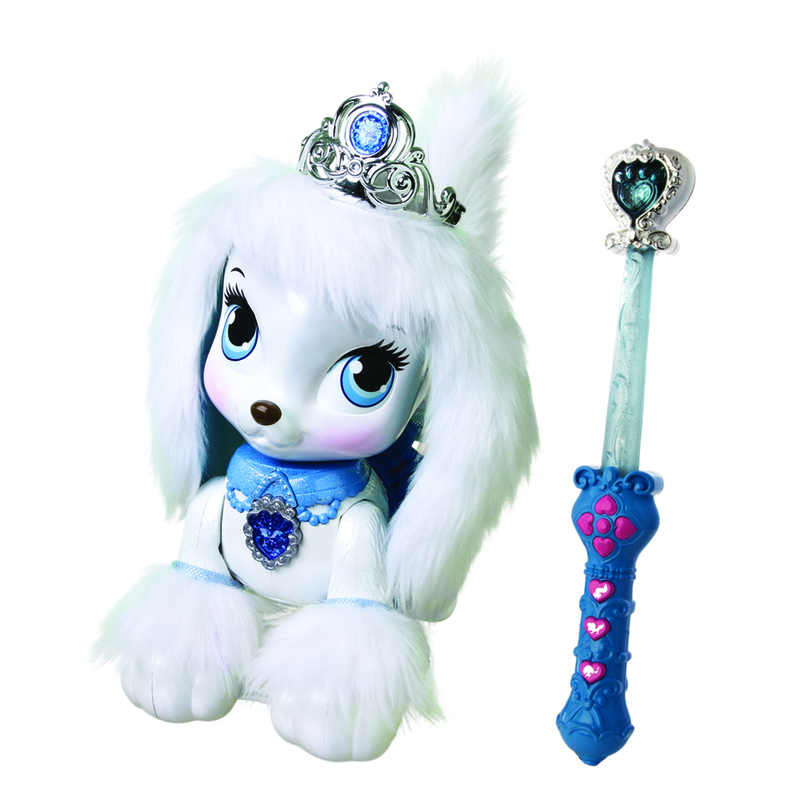 Kids can use the included magic wand to control Pumpkin's movements, making her go in every direction and even teaching her to courtesy, bow, and dance. Pumpkin has lots of fun sounds and sassy phrases, and features fluffy ears and a tail, and of course, a royal tiara. Why I Love It: R/C doesn't typically appeal to girls, but princesses usually do. This toy is great for getting girls interested in R/C toys, while also channeling the Disney Princess Palace Pets brand in truly innovative way. 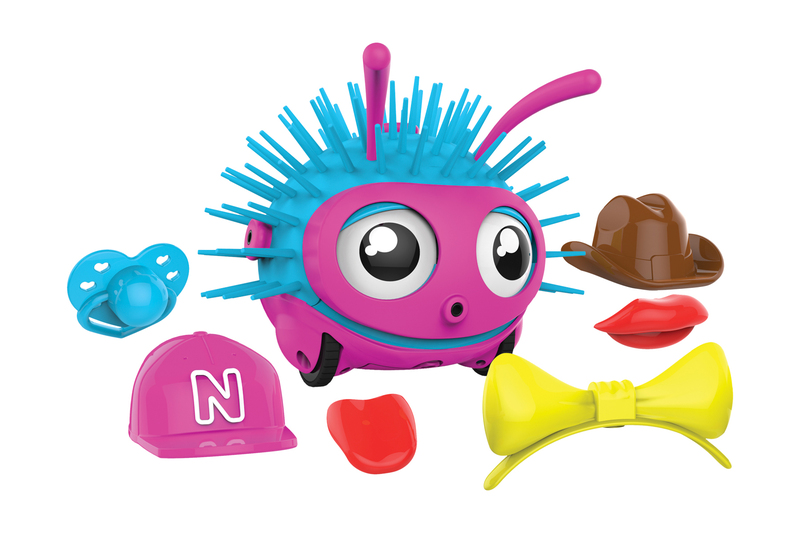 What It Is: Noomie is a tech pet R/C toy for girls. Kids can use the little remote control to drive Noomie forward, back, and in a circle. They can also make her dance and shake -- but best of all, Noomie includes six different accessories that alter her personality. Kids can plug in her kissy lips and Noomie is ready to give you a smooch. Or, put her cowgirl hat on and get Noomie ready for the rodeo -- yeehaw! Why I Love It: Noomie has more than 300 different sounds, so girls will never get bored with her. Plus, all of the accessory combinations teach kids a little about programming, while the fun R/C component holds kids' attention. She makes a great first tech pet for girls. What It Is: Kids will enjoy pretending to train this Pokémon action figure. 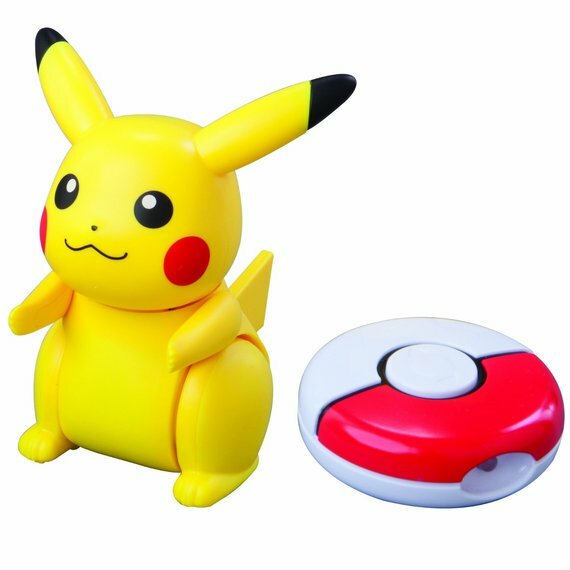 It even includes a Poké Ball-shaped remote control to command Pikachu to execute movements, such as going backward, forward, and turning. Why I Love It: Pokémon is a classic favorite among kids, and this toy lets them live out their dreams of becoming a trainer. A great role-play toy as well as an R/C figure, Pikachu will have kids imagining and having fun. Best of all -- they can play solo or in a group. What It Is: Kids can race this off-road vehicle that features hobby-grade proportional steering and throttle to give users precise control over its movements. The truck can go more than 200 feet away from the remote, and kids can control up to 16 trucks at a time thanks to the 2.4 GHz control. 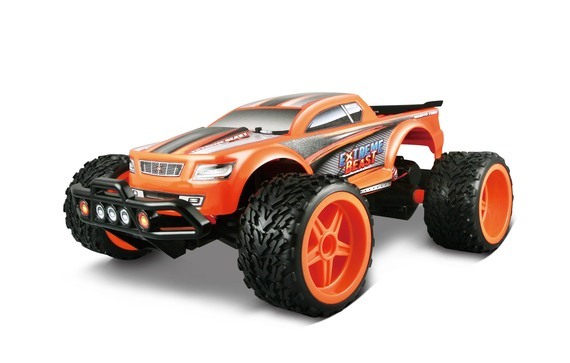 Why I Love It: Unlike other R/C cars, this truck can cover some serious terrain. With giant tires, kids will love rolling through the dirt and racing their friends. The sophisticated tech will also allow adults to enjoy the R/C fun. 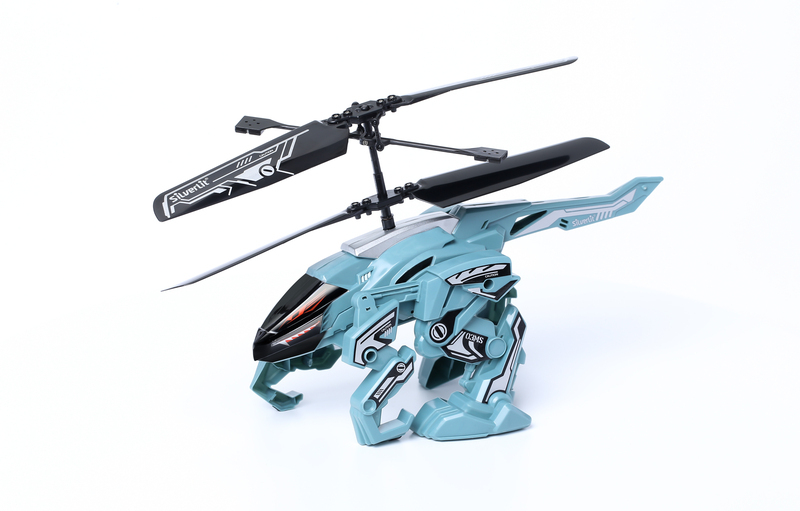 What It Is: This dual, multi-function R/C toy lets kids walk the beast in all directions on the ground and then prepare for lift-off and fly it like a helicopter. The beast can even walk through the air, jump over obstacles with a single button-push, and land with ease. Why I Love It: Kids will love the fact that this single R/C toy does so much, and there's no toy on the market that crawls through the air like this one. The plastic is super light and landing is easy, so kids don't need to worry too much about crashing and breaking the copter. What It Is: With its exterior cage, kids can fly the Rollercopter across the ground, up the walls, through the air, or on the ceiling. The rolling cage also detaches for classic copter fun. Best of all? 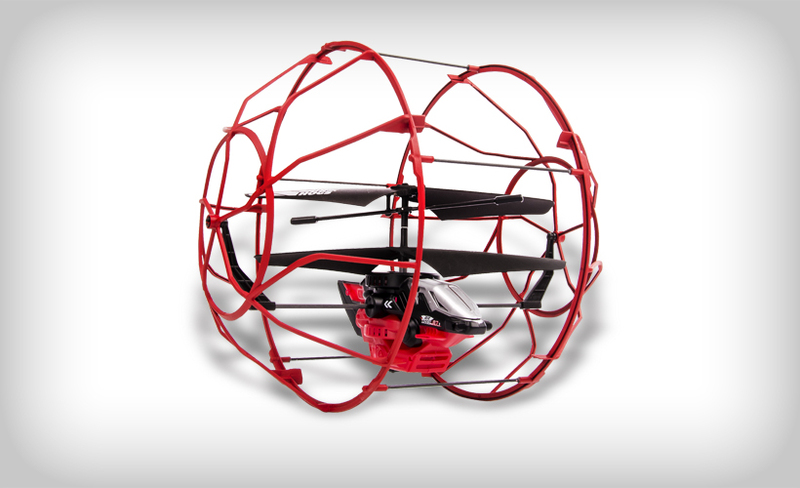 The cage acts as a shield to the copter, so kids have no worries about crashing -- just bounce on the floor and keep flying. Why I Love It: This copter is so fun to watch crawl across the ceiling and up the walls (and don't worry mom -- it doesn't leave any marks). Especially since some kids have trouble flying/landing/perfecting their flying skills, the cage really helps ensure no one's fun is cut short. What It Is: This huge 16-inch Quadcopter features an on-board video camera that can record up to 30 minutes of video or thousands of pictures from more than 100 feet in the air. Kids can capture their flights in real-time and upload them to social sites. With the push of one button, kids can also perform stunts and flips, like a barrel roll. Why I Love It: This technologically proficient R/C takes flying to a whole new level and lets kids capture the magic on video. 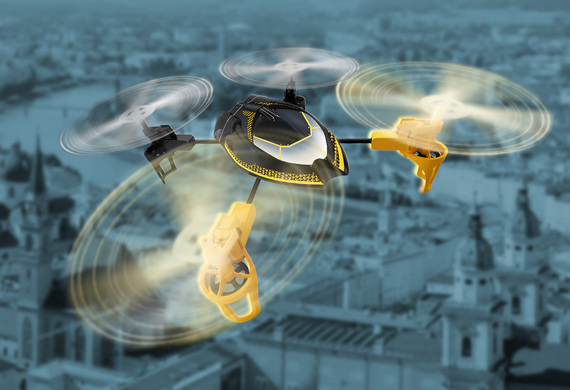 The battery only takes about 45 minutes to charge and the 6-Axis Gyroscope and Accelerometer help the copter stabilize easily. There's a crazy race car driver/stunt pilot in all of us, and there's no better way to try out these skills than with toys like these. For me, of course, while I am behind the controls of plenty of toys, I've also learned that maybe being a pilot is not going to be on my bucket list!